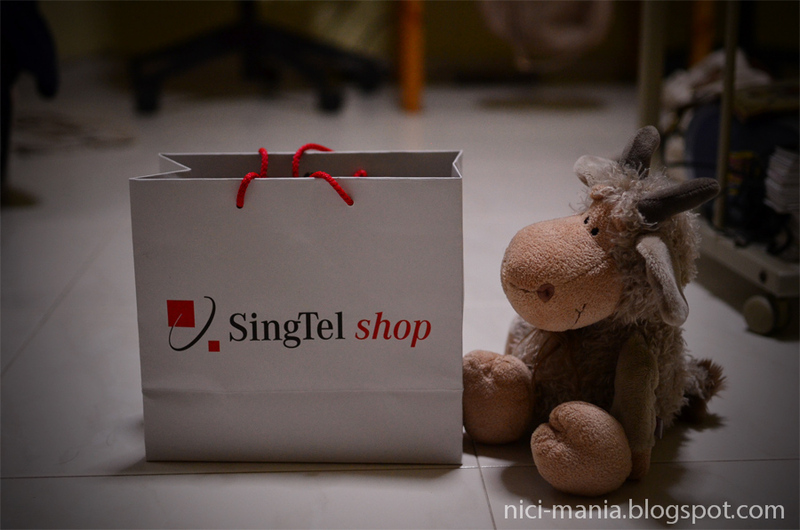 This past Christmas, Gustav went shopping and came home with a Singtel shop bag. 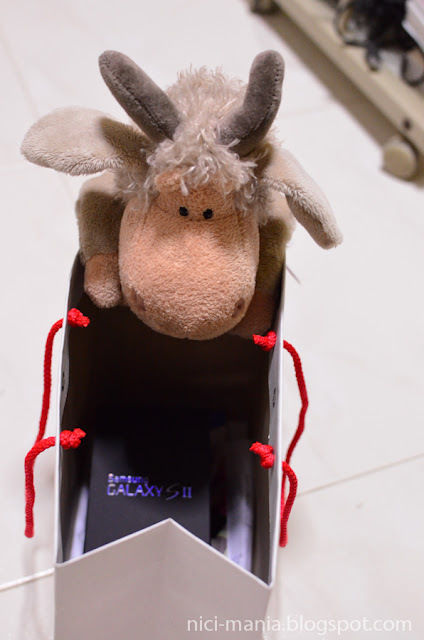 Gustav anxiously peeks inside and all there was a sleek black box with the words "Samsung Galaxy S2" lighting up his eyes! It's a spanking new Samsung Galaxy S2 and Jolly Sheebo joins Gustav for the unpacking fun! Samsung Galaxy S2 is probably the most popular smart phone right now. 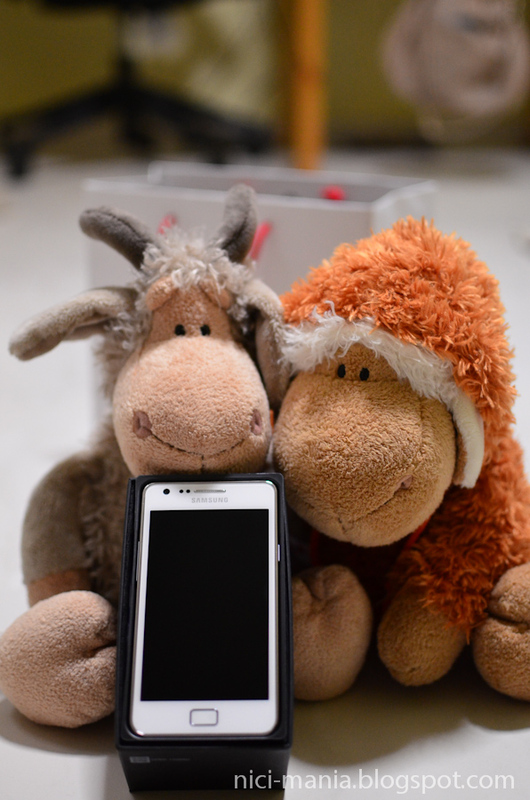 Jolly Sheebo and Gustav reveals the white Samsung Galaxy S2. 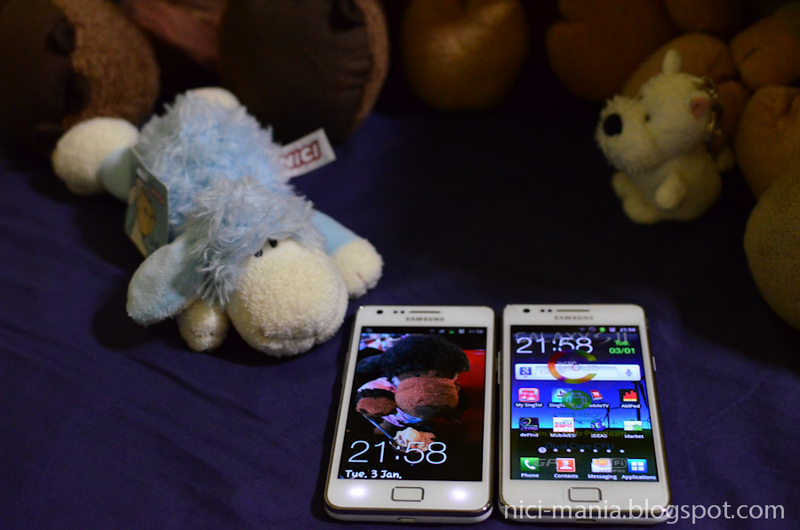 Samsung Galaxy S2 is considered a Christmas present for ourselves. Gustav's thought: "Finder's keepers, this is mine! hur hur hur"
Android OS is way much better than Apple iOS, everything on the screen is customisable, you can make your Samsung Galaxy S2 look like an iphone but you can't do it the other way round. The possibility of Android is limitless, you can make your Samsung phone very unique and different from others. We love the much bigger screen on the Samsung Galaxy S2, but the iphone screen renders black nicer, video looks much better on the iphone. The Samsung Galaxy S2 display looks more contrasty and warm. Iphone has better grip in our hands. The Samsung Galaxy S2 is too wide and flat to hold and it weighs like almost nothing, it feels like a plastic toy but it fits nicely in our pocket. Apple App Store has more apps than Android's Market and much better games on the iphone. But the beauty of Android is, no more iTunes synching, you can just copy and paste any files from your computer. You can also bluetooth while your iphone can't. Best of all, you can directly play movie (avi) files on the Samsung Galaxy S2 and it can even load the subtitle (srt) files automatically with the build in player. Rmvb video files can also be played via moboplayer free from the Market. We absolutely love this as we can watch movies / tv shows (avi format) and Taiwan variety show (rmvb format) on our phone. This is not a tech web site, so we'll stop at here. 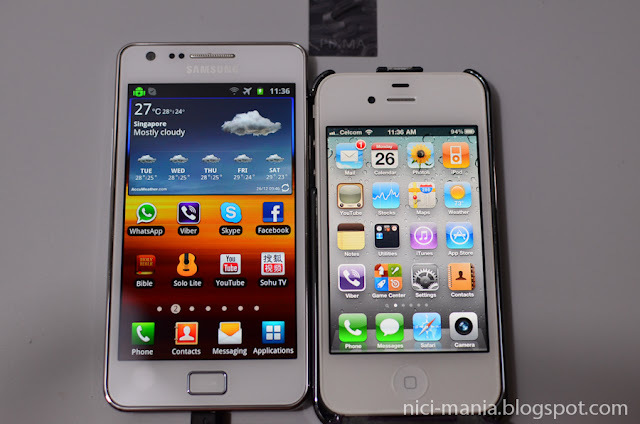 Conclusion, yes we pick the Samsung Galaxy S2 over the iphone any day. 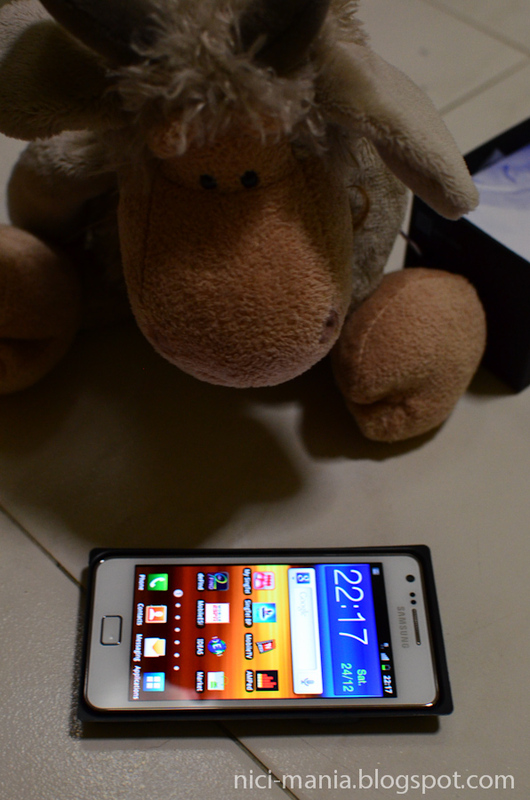 Android OS is just so awesome! No more troublesome iTunes synching just to copy 1 file to the phone and no more converting of videos to mp4 format to play on the iphone. We bought a 16GB external micro sd card for our Samsung Galaxy S2 and now it has a total of 32GB space! Lots of apps and stuff we can put in our phone now! 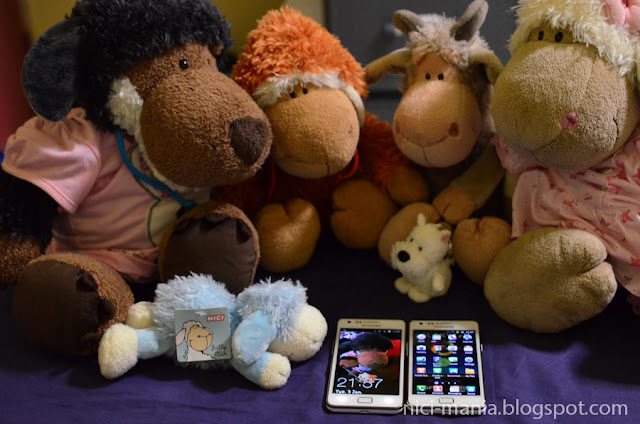 Our NICI plush love the Samsung Galaxy S2 so much, we bought another one week later! Wait, is that Hugo Wolf's wallpaper on the lock screen? We are officially a convert from iphone to Android phones and Samsung is certainly the best choice among all the other brands now. We're just the opposite, we converted from Android to iPhone. We have had Apple computers for many years, but couldn't use an iPhone in our area until Verizon in the U.S. started to offer them. Our Android X crashed a lot, the selection of Apps was not very good, and it was nearly impossible to sync our calendars, address book, photos, etc. between our desktop computer and our phone. With an iPhone, all of that is very easy now! We do wish, however, that the screen was a little bigger; more customization would also be good. Congratulations with this nice gift you got for yourself. I see you dressed up Jolly Mah Rosa nicely as well. It's always fun to see sheep being so undertaking, helpful and inquisitive as it comes to gifts haha! Congratulations for the new Galaxy S2! I love it! Congratulations for the great present you got for yourself! One for you and one for the plush haha :-) I also love watching your flock unpacking gifts, it`s very funny!